The leaves are starting to turn — a little red and yellow can be seen among the green. The temperature is dropping and sweaters are coming out of hiding. The long, hot days of summer are coming to an end. And then you’re driving down the road ane behold — a wonderful sign of fall! 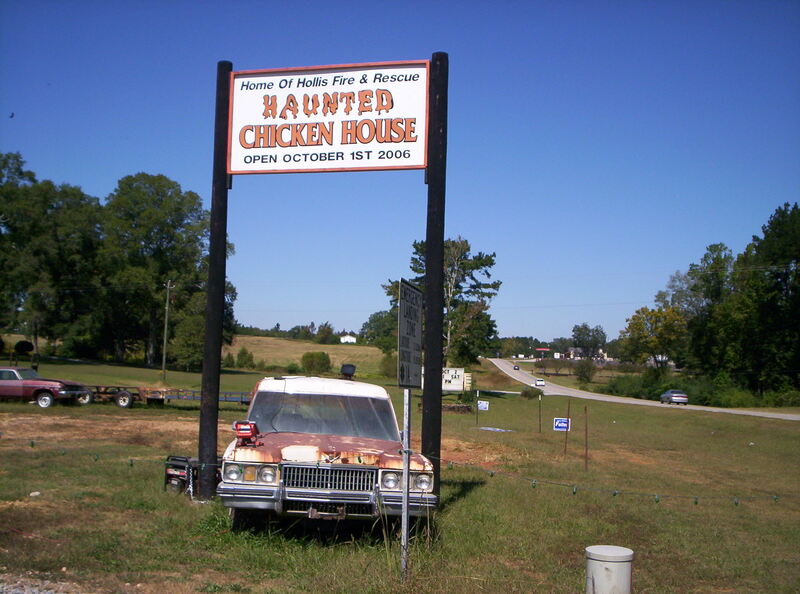 The Haunted Chicken House! Now, I know Fall has begun. Oh, but it gets better! 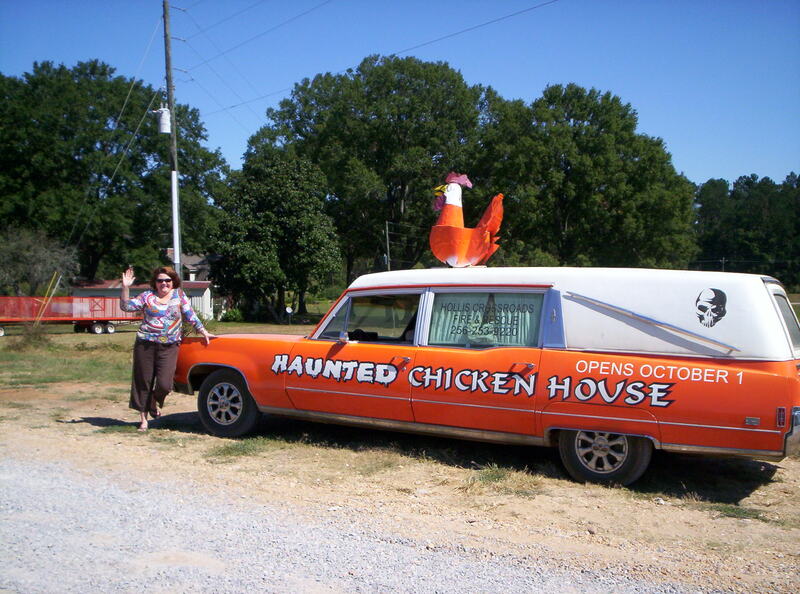 Not only is there the wonderful sign, but there’s the traveling hearse complete with the big chicken on top! I think this is now my new favorite picture! I hope that your fall is getting off to an amazing start… and I promise I’ll get those vacation pictures up really soon. 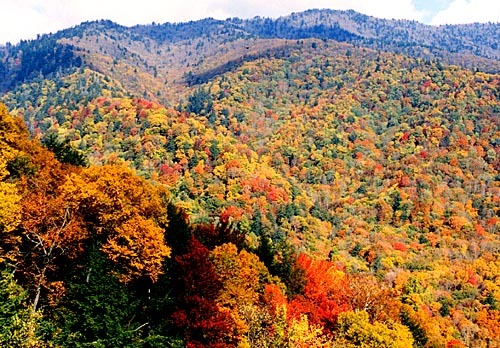 Reminds me of the many drives I have taken to North Alabama and the beautiful trees in fall. Aren’t you just loving this weather?? I wish you’d meet me at Trussville on Sunday and hear Mr. Travis Cottrell blow us away with some praise and worship music! I am so glad I saw this. There is a chicken house about a mile from my house that just shut down. Now, instead of seeing it as an end, I can see it as possibly a new beginning… oh the possibilities. Our community is currently without a haunted chicken house too. Anyone looking for a business partner? This is the funniest picture I have ever seen! !